Our pleasures, our fleshly desires, our selfishness wants, are the source of the “quarrels and conflicts” among us. 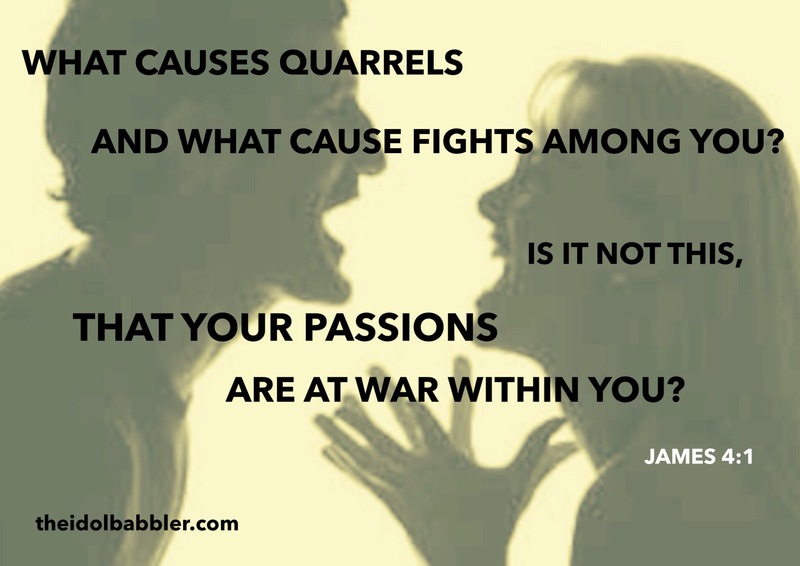 Whatever “fight” we are engaged in reveals the state of our souls. It is such a state which influences how we spend our opportunity. We “ask and do not receive,” because we ask with “wrong motives.” In other words, the “war in your members” is a result of petitioning God for “pleasures” rather than that which we should instead solicit Him for. So, knowing this, how should we then respond? Do not squander opportunity. Instead, ask and receive.